Halina's Custom Interiors and Awnings, Inc. Comment: Install a 16ft wide retractable awning over the patio sliding on an outside concrete wall. Comment: I have 3 awnings with aluminum frames. The frames are fine. I just need the cloth replaced. One is over a standard-sized door. The second over a double window. The third is over a sliding glass patio door. I can measure and provide sizes and pictures too. Tampa Awning Companies are rated 4.80 out of 5 based on 10 reviews of 3 pros. 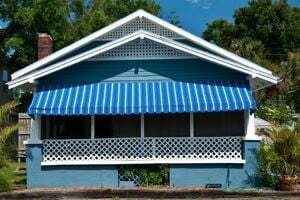 Not Looking for Awnings Contractors in Tampa, FL?